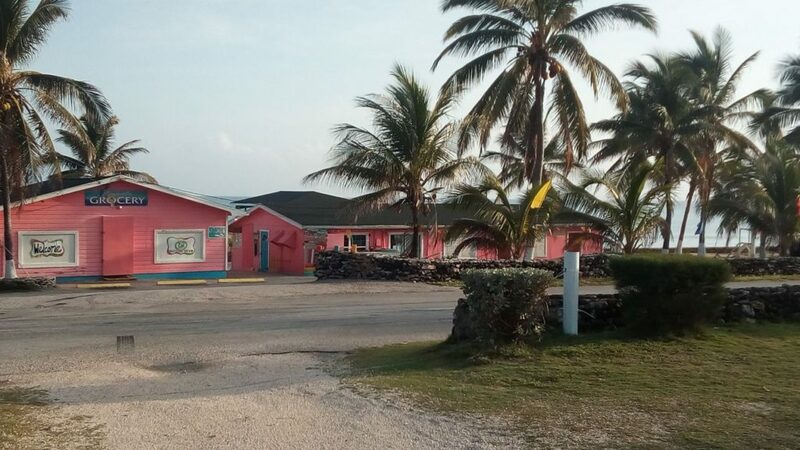 Welcome to our home away from home in The Cayman Brac, as we in reside at the rustic eastern coastal resort called, La Esperanza. 6 old-styled cabins with roomy interiors accommodate the 16 boys and 4 adults comfortably. Fully equipped with all furniture, TV, internet, refrigerators, stoves, air conditioners, utensils, washing machines and driers. A big yard space hosts two sets of wooden benches and tables in covered seating. 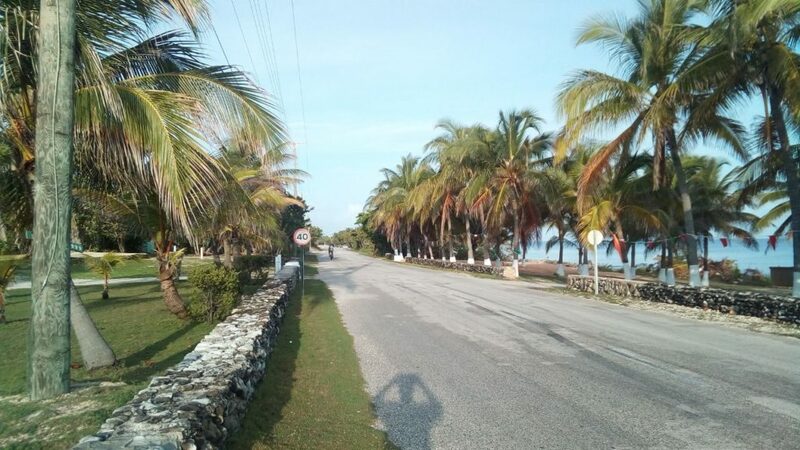 Traffic is virtually non-existent, as the 40 kilometer sign outside reminds motorists not to exceed the “speed” limit on the sleepy island home, or else 1 of the 6 police vehicles run you in for a harsh Cayman $500 fine…about J$82,000. A tourist-oriented small island that is much like Negril, the short step across the road takes us where we shop for all our small items. 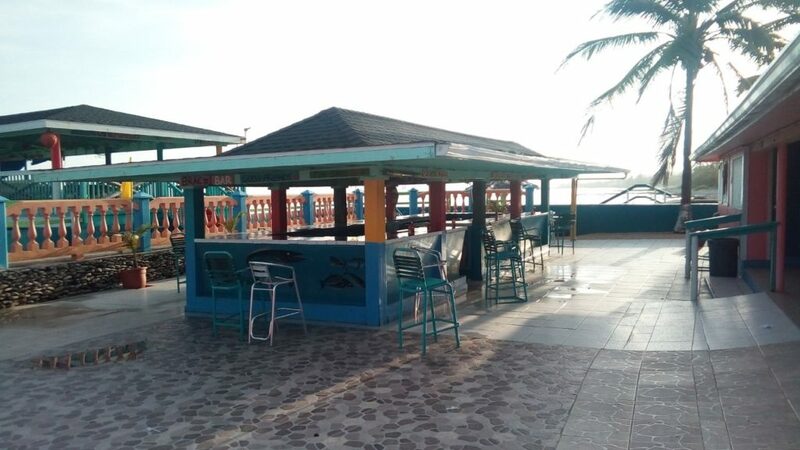 The location also kindly catered to our breakfast, lunches and dinners most capably through Jamaican chef, Jermaine from Santa Cruz and his kind assistant, Carol, another rural-based Jamaican. We are in good hands! Breakfast and lunch were on the Upper Deck, and dinner was inside the cabins with team meetings and daily technical sessions. Our host, Mr Harold Sanford, organises professionally with his able staff and volunteers as long-time Jamaican friend and supporter Steve Smith makes sure everything needed is in place. Last but never least, are parents who contributed by taking advantage of the kind Lockeroom Sports deal of branded boots and a set of gears. Sponsors kicked in through Jamaica Broilers Limited, JN Cayman, and Mango Tree Restaurant with some meals. Our lovely friend from Harbour View Marjorie Chambers-Scott and her husband Anthony “Scotty” Scott who captured many early 1970s historic photographs when no one else took pictures of players and active HVFC games also loaned their support to us. Many more sponsorships are being discussed, both in Cayman and in Jamaica, and we invite all contributions!